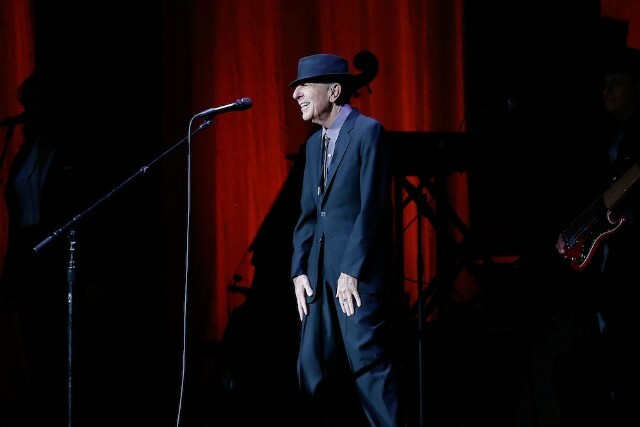 On You Want It Darker, Leonard Cohen’s excellent new album, the 82-year-old songwriting god looks death straight in the eye without flinching. It’s an intense listen, and it’s nice to know that Cohen and his son Adam were able to loosen up a few times and have some chemically assisted fun while they were making it. “This old man, who was truly in pain and discomfort, would at some intervals get out of his medical chair and dance in front of his speakers,” he reveals. “And sometimes, we would put on a song and listen to it on repeat just like teenagers with the help of medical marijuana. “I sit at your table every night / I try but I just don’t get high with you,” Cohen sings on album highlight “Treaty.” But it sounds like the high-grade medical stuff did its job. You Want It Darker was released October 21. Listen to “On the Level” below.